“Get outside and go play,” she said most Saturdays, after two hours of Rocky and Bullwinkle and Schoolhouse Rock. Those were the words my mother said to my brother and me on so many occasions. I remember whining about being pried from our three precious TV channels. These were the days before cable, where satellite receivers were adjusted daily based on orbital patterns. We would gripe then go outside and dig holes in the yard, jump out of the hay loft and explore the dry creek behind our house. Being outside was holistically good for us. Other days we would work outside with our dad. We complained about having to feed the horses, open gates or round up cows. I enjoyed riding horses while my brother preferred riding on two wheels. I remember feeling better after playing outside, but as a kid, never understanding why. There was that one summer we had to chop cotton. Our dad gave us kid-sized hoes and taught us how to use the file to create an edge for better chopping efficiency. My brother and I still bemoan that summer full of naturally-acquired vitamin D. While our city friends were in the air conditioning playing PacMan, we were relegated to child farm laborers. What I didn’t understand until recently is that those physical activities in my youth helped my brain develop the capacity to learn academically. The force my muscles had to exert and the tug of gravity helped my brain create neural pathways that set me up to learn in school. These neural pathways of physical exertions were the first routes hacked out of the brain’s forest of neurons. While the advanced academic neural connections were being made, these routes were the ones that first carried the basics of mathematics and reading. Work and play required eye-hand and whole-body coordination. 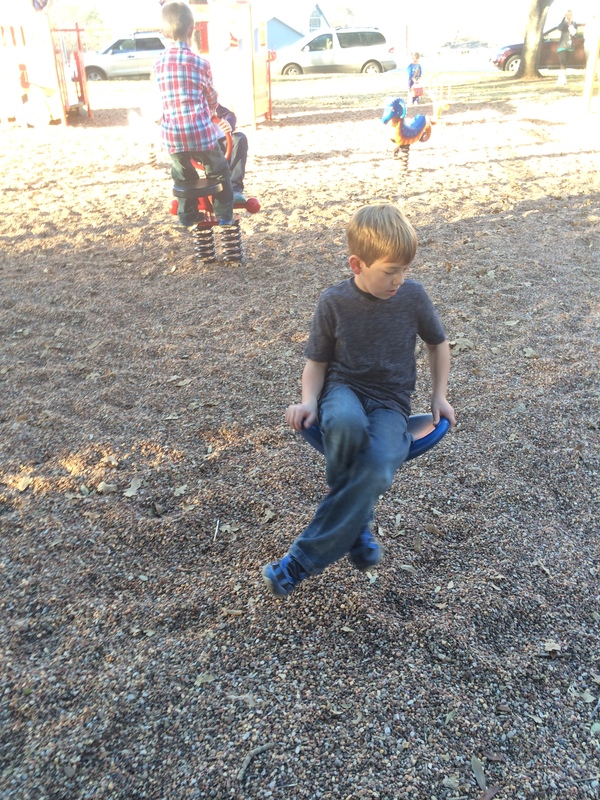 Many of our activities required a sequence of movements that culminated into one fluid motion. This is known as motor planning and is essential for learning how to speak, get dressed or write your name. I didn’t know that the upward swing of the hoe and force of chopping down on an intended target was such a complex movement holding so much potential brain power within it. The limited access to “screen time” was a benefit that forced my brother and me to seek other means of entertainment. It forced us to interact with each other and resolve differences. We also learned how to interpret our own emotions, how to read the other’s face, how to express ourselves—sometimes with fists and shoves. Looking back, it seems obvious how playing and moving in a tangible world contributes to our ability to process and think in the abstract, as well as, overall wellbeing. I didn’t give full credence to my mother’s asseveration that babies need to crawl in order to read. The two seemed unconnected at one time, much like the neural connections that would come later as the result of moving physically. But now I understand, don’t argue with your mother and go outside to play.